Known also as the City of Light (la Ville Lumière) and Capital of Fashion, home to the world's finest and most luxurious fashion designers and cosmetics, having the second highest number of Michelin-restaurants in the world, and many iconic landmarks, among which the world's most visited tourist site – the Eiffel Tower, Paris it the most popular tourist destination in the world with 45 million tourists annually. When visiting Paris the multitude of choices from which you need to peek can be overwhelming. That’s why you need to do extensive research, especially if you are only for the weekend in Paris, or just for a few days. You will need to plan your trip very carefully and one of the first steps would be choosing from the numerous landmarks, the ones that interest you. 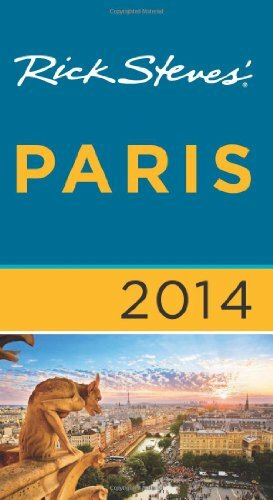 You might need the 2014 Paris travel guide to navigate through the multitude of options. Rick Stevens is one of the globe trotters' favorite travel guide authors. 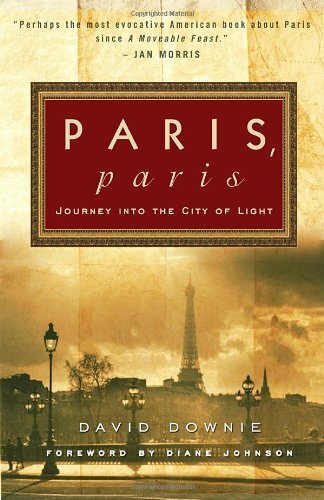 Following the tradition, his 2014 travel guide for Paris offers very practical advice and time saving tips for the traveler. His comments and guides through the various historical sites are informative, interesting and often funny and it will help you make up your mind on the focus area of your visit. Credit: By Boaz Meiri (OperÄƒ proprie) [CC-BY-SA-3.0 (http://creativecommons.org/licenses/by-sa/3.0)], via Wikimedia CommonsTour Eiffel – is a monumental iron structure of a 324m height. The tower was initially planned for demolition after the 1889 exhibition for which it was created. It weighs 10,100 tons and it took 2 years of relentless work of 50 engineers and 132 workers directed by Gustave Eiffel to build it. The access to the tower is made by its elevators or, for the fittest ones, by the 1665 steps. The tower is a special landmark symbolizing Paris and France throughout the world and it sparkles every evening until 1am in winter and 2am in summer, drawing to it basically every person who ever set foot in Paris (approximately 230 million visitors since its construction). Cathédrale Notre-Dame de Paris – a masterpiece of Gothic architecture, is the most visited monument in France. It was built in the Middle Ages, at the far end of the Île de la Cité. Its many visitors come to admire its stained glass and rose windows, the towers, the steeple and the gargoyles. You can also discover here the Notre-Dame treasury and try and climb the towers to enjoy a panoramic view of Paris. In 2013, Notre-Dame celebrated its 850th anniversary. For this occasion, many events were organized and the cathedral will receive eight new bells as well as a new great bell. On the cathedral's front yard, a bronze star inscribed 'zero kilometre' indicates the centre of the country in terms of road distances. Credit: By Jad MASSOUD (Own work) [CC0], via Wikimedia CommonsBasilique du Sacré Coeur de Montmartre – one of the most iconic monuments in Paris, is situated on a high hillock, at the end of a wearing stairs climb. Built in a Roman-Byzantine style, the basilica is recognizable by its white color. Inside the building, the ceiling is decorated with the largest mosaic in France, measuring about 480 m². After visiting the crypt, bit higher up, you can access the dome where the 360° view of Paris is magnificent. A short walk from the Sacré Coeur is the Place du Tertre, the district of Abbesses with its steep, winding roads, and at the bottom of the hill, the famous Moulin Rouge cabaret. Pompidou Centre – an impressive building made of glass and steel. Its service outside back wall is crossed by vertical pipes, color coded for air, water, and electricity. The front exterior wall is zigzagged by escalator transparent tubes. The interior has a surface area of 7,500 sqm on each of its five floors and it’s filled with contemporary culture art displayed in a variety of forms: from exhibition rooms, performance spaces, a cinema, and a gallery for children, and the national museum of modern art. Design in the 20th century and current movements are explored via a thematic approach that combines all forms of visual art and audiovisual expression. La Grande Arche de la Défense – a monument and building in the business district of La Defense, completing the line of monuments that form the historical axe running through Paris. Hôtel national des Invalides – built byLouis XIV for all officers, crippled, old and retired. Eglise Saint-Sulpice – as big and as magnificent as a cathedral, this church was built over 135 years and bares treasures from each period: statues by Bouchardon and by Pigalle, frescoes by Delacroix, a marvelous concentration of history. Sainte-Chapelle – a jewel of French Gothic architecture, with veritable glass walls of light, famous for once having housed Christ’s Crown of Thorns. Arènes de Lutèce – the centre of the Gallo - Roman city, dating from the 1st and 2nd centuries BC, this amphitheatre held up to 15,000 people, who came to see plays, comedies, gladiator combats and wild beasts fighting. Credit: By Mariordo (Mario Roberto Duran Ortiz) (OperÄƒ proprie) [CC-BY-SA-3.0 (http://creativecommons.org/licenses/by-sa/3.0)], via Wikimedia CommonsPalais Garnier – one of the the most famous opera house in the world, also due to the fact that it is the setting of Gaston Leroux's 1910 novel The Phantom of the Opera and, especially, the novel's subsequent adaptations in films. La Conciergerie – a former royal palace and prison, located on the west of the Île de la Cité. It is part of the larger complex known as the Palais de Justice, which is still used for judicial purposes. Credit: By Lepeltier.ludovic (Own work) [GFDL (http://www.gnu.org/copyleft/fdl.html) or CC-BY-SA-3.0-2.5-2.0-1.0 (http://creativecommons.org/licenses/by-sa/3.0)], via Wikimedia CommonsMusée du Louvre – the biggest museum in Paris, and home of the Mona Lisa, The Raft of the Medusa, and Venus de Milo. The more than 200 years old museum houses collections of Western art from the Middle Ages to 1848, and collections of ancient oriental, Egyptian, Greek, Etruscan and Roman civilizations which preceded and influenced them, as well as graphic arts and Islamic arts. Musée d'Art Moderne de la Ville de Paris – is hosted in Palais de Tokyo. Its permanent collections of the museum comprise more than 8,000 works illustrating the many different artistic currents of the 20th century, with works by artists such as Pablo Picasso, Juan Gris, Henri Matisse, Alberto Giacometti, Georges Braque, and Yves Klein but it also displays major temporary exhibitions. Musée national de la Marine – one of the world’s oldest maritime museums, it displays models of ships from the 17th century onward, along with other maritime objects, paintings and legendary figures. The impressive age and diversity of its collections make it one of the world’s most important maritime museums. Cité de l’architecture et du patrimoine – housed in a wing of the Palais de Chaillot, it devotes its 23,000 sqm to the urban environment. Musée national d'Histoire naturelle - Musée de l’Homme – presents the incredible journey of man through time from its appearance 150,000 years ago to the present day. Musée Picasso – behind its monumental façade, you can admire a unique collection of works by Picasso: over 200 paintings, over 150 sculptures, more than 3,000 engravings and drawings, sketchbooks. Musée du Quai Branly – a five buildings gathering, over a surface of40,600 sqm, the museum is dedicated to the art and civilizations of Africa, Asia, Oceania and the non-Western Americas. Credit: By Dimitri Destugues (OperÄƒ proprie) [CC-BY-SA-3.0 (http://creativecommons.org/licenses/by-sa/3.0)], via Wikimedia CommonsMusée Rodin – housed in the Hôtel Biron, an 18th century former mansion house, the Rodin museum boasts French gardens laid out with plants, shrubs and trees, and decorated with sculptures by the artist in marble, bronze, and terracotta. You can also find here works by Camille Claudel (his muse), paintings by his friends: Carrières, Monet, Van Gogh and others. Musée Bourdelle – an artists’ studio with 500 sculpted works in marble, plaster and bronze along with canvases and water-colors from the beginning of 20th Century. The exhibition is place in the great hall, in the studios, in the rooms, and finally in a winter garden of ivy and acacias. Musée du Moyen Âge – Thermes et hôtel de Cluny – holds two architectural marvels: the Gallo - Roman baths, dating from the end of the 2nd century BC, and the Hôtel des Abbés de Cluny, built in the 15th century. The building exhibits stunning work of the Middle Ages: the façade with its arches, the sculptures, gold and silver plate, ceramics, tapestry, furniture, and everyday objects. Here you could also find collection of golden crowns, Byzantine ivory, daggers and coats of chain mail. Musée de la Vie romantique – house of painter and sculptor Ary Scheffer, neighbor to Delacroix, George Sand, Chopin, the house and garden was the encounter place of the whole of the intellectual and artistic world of Paris (Liszt, Rossini, Turgenev, Dickens). Saint Germain des Prés – an islet of eternity surrounded by the wings of fashion. From the 1920s, the frenzied literary and art cliques gravitated towards the cafés of Saint-Germain: existentialists as Camus and Sartre, jazz musicians as clarinet player Sidney Bechet and trumpet player Boris Vian. While this has passed, Saint-Germain still remains an oasis of ancient streets full of wonderful venues for art, books and the latest must-have souvenirs. The Montparnasse district – a place of festivities with the opening of cabarets and dance halls in the 18th century, now you can find here also some old and famous Parisian brasseries such as La Rotonde, La Closerie des Lilas, La Coupole and Le Dôme. L’ Ile de la Cité – birthplace of Paris, together with Ile Saint Louis, the isle is crowded with historic places: place Dauphine, the Conciergerie, Sainte-Chapelle, Hôtel-Dieu, Notre-Dame. L’ Ile Saint-Louis – filled with the tranquility of sumptuous mansion houses. A refuge for artists and poets, the isle is also a haven for gourmets judging by the profusion of restaurants, cafés, ice-cream makers and confectioners, whose tempting windows line the rue Saint-Louis en l’Ile. La Défense – a major business district is Europe's largest purpose-built business district with 560 hectares area, 72 glass and steel buildings and skyscrapers, 180,000 daily workers, and 3.5 million sqm (37.7 million sq ft) of office space. Around its Grande Arche and esplanade ("le Parvis"), La Défense contains many of the Paris urban area's tallest buildings, and is home to more than 1,500 corporate head offices, including those of 15 of the top 50 companies in the world. Le Marais – a district is characterized by its mansion houses, gardens and religious buildings. Today, Marais is a Jewish neighborhood, a homosexual neighborhood and a popular shopping area with fashion and designer boutiques open during the weekend. Trocadéro – a mystique place of gently sloping terraces and gardens, bordered by century-old Caucasian wing nut and hazel trees, and dotted with gilded bronze statues. Trocadero has an elevated point which offers a premium view to the Eiffel Tour from the other shore of the Seine. Champ-de-Mars – a vast park laid out below the famous tower has nothing warlike about it, and even displaying a Wall of Peace. Credit: By Philippe AlÃ¨s (Own work) [CC-BY-SA-3.0 (http://creativecommons.org/licenses/by-sa/3.0)], via Wikimedia CommonsQuartier latin – here, around the Sorbonne, the Collège de France, prestigious schools and the Sainte-Geneviève library, there are still numerous bookshops, publishers, and cafés, where students revise for their exams, as well as tiny art-house cinemas. The Saint- Michel fountain is a well known meeting point for students. Place des Vosges – the thirty-six townhouses constitute a perfect symmetry with their brick façades, deep-pitched slate roofs and the ground floor made up of a gallery of arcades for walking. Place des Abbesses – here you can admire the metro entrance designed by Hector Guimard, the merry-go-round, die-cast lanterns, the Wallace Fountain … In the nearby Square Jéhan-Rictus, groups of toddlers play under the enameled lava wall, famous for its “I love you” inscribed in 311 different languages. Place de la Madeleine – surrounding the Madeleine church, the square is famous for its luxury boutiques and fine food stores. Cité des Sciences et de l'Industrie - Universcience – behind its steel and glass exterior, this futuristic giant, surrounded by water, offers a multitude of activities that make science and technology fun and accessible: talks, aquarium, 3D cinema, Cités des Enfants (city of children), des Métiers (craftsmans), de la Santé (about health), exhibitions, media library, planetarium, workshops, and others. Saint-Martin Canal – offers visitors a pastoral setting in which to enjoy a relaxing stroll. Rue Mouffetard and place de la Contrescarpe – a stroll down the gentle slope of montagne Sainte-Geneviève along rue Mouffetard is a delightful experience and full of picture-postcard views of Paris. In the small paved place de la Contrescarpe, restaurant and café terraces encircle the ‘village’ fountain. You can find here affordable lively pubs and cafés and also traditional breads and cakes, stalls of charcuterie, and mounds of fruit and vegetables. Rue des Martyrs – one of the busiest streets of shops and cafés in Pigalle. Linking the Eglise Notre Dame de Lorette and Sacré Coeur, it kept its old-fashioned charm with its traditional shops, typical Parisian cafés, lively bars, cabarets and its historical concert hall, "Le Divan du Monde." Credit: By Benh LIEU SONG (Own work) [GFDL (http://www.gnu.org/copyleft/fdl.html) or CC-BY-SA-3.0 (http://creativecommons.org/licenses/by-sa/3.0)], via Wikimedia CommonsAvenue des Champs-Élysées – the avenue is embellished with prestigious palaces, cafés and restaurant terraces and cinemas, ready-to-wear fashion stores and high-tech showrooms. Everything can be found on the “Champs” from morning to midnight, sometimes 24 hours a day, often 7 days a week. Avenue Montaigne – a615-metre-long street, lined with chestnut trees where you can find fashionable luxury boutiques and town houses fronted with small gardens, this avenue epitomizes French charm and elegance. Rue du Faubourg-Saint-Honoré – crossing Paris from east to west, it features many upscale boutiques. The Elysée Palace, at No. 55 is the official residence and offices of the France President. Crossroads of rue Oberkampf and rue Saint-Maur, and rue Jean-Pierre-Timbaud – a few steps away from République, a restless place crowded with bistros, café theatres and small bars. In this little area, is great for partying through all the night. Pont de l'Alma – the bridge is known for its statue of a Zouave soldier, formerly used to measure rises in the level of the Sein. At one end of the bridge is the Flame of Liberty, a perfect replica of the torch of Statue of Liberty. Credit: By Anna Tiedt (OperÄƒ proprie) [CC-BY-SA-3.0 (http://creativecommons.org/licenses/by-sa/3.0)], via Wikimedia CommonsJardin du Luxembourg – commissions by Maria de Médicis, who wanted to recapture a little of her town, Florence, the park is welcoming children of all ages with its wooden horses, model yachts to push along with a cane on the ornamental pond, refreshment kiosks, puppet theatre, ponies, etc. You can meet here also artists with their easels, chess players, daydreamers, students with their notepads, computers. Here also stands the original Statue of Liberty. La Sorbonne – the oldest university in Europe, dating from 1253, now it is one of the most important university in Paris. Bibliothèque Nationale de France –the Haut-de-jardin and Rez-de-jardin levels devote their reading rooms – red carpet, steel and natural wood – to printed material, multimedia and many fine exhibitions. Institute de mondo arabe - you can experience here the Muslim-Arab culture in an array of exhibition rooms: museum, auditorium, library and media library for young, language centre, bookshop, restaurant and literary café. CinéAqua – besides the biggest aquarium in France, there is a large cinema which projects in-house animation on manga screens. But the real highlights are the workshops for children and even a touch pool to stroke and feed the fish. Paris sewer system – not everybody’s first pick, theParis sewer system boasts the world’s most extensive network of sewers, forming an astounding underground city. There are over 2,400 km of tunnels (roughly the distance between Paris and Moscow). Observatoire de Paris – built in 1672 in the times of Louis XIV. You can enjoy here guided visits of the Moon, the phases of Venus and some Sunspots. Credit: By User:WeEnterWinter (OperÄƒ proprie) [GFDL (http://www.gnu.org/copyleft/fdl.html) or CC-BY-SA-3.0 (http://creativecommons.org/licenses/by-sa/3.0/)], via Wikimedia CommonsChâteau de Versailles – placed at a 30min train ride distance, the sumptuous palace with its breathtaking gardens is the site of the Sun King Louis XIV's residence, former center of political power in France (until the French revolution). The palace and its splendid gardens make one of the most famous monuments of world heritage. The buildings trace the architectural style of the 17th and 18th centuries and the Park is decorated with statues, fountains, water parterres and outstanding buildings such as the Grand Trianon and Petit Trianon, the Temple de l'Amour and the Hamlet of Queen Marie-Antoinette. Giverny– at a day trip distance, here are the inspirational house and gardens of the Impressionist painter Claude Monet. The gardens and its flowers are the most interesting part of the visit, so avoid rainy days. Parc Astérix – placed at a 22min train ride distance, it is a theme amusement park, especially well known for its large variety of roller coasters, and its new rides and themes from historic cultures such as the Romans and the ancient Greeks. These are only the most important landmarks in Paris. Yes, Paris can be a bit overwhelming indeed, and you need careful planning and serious guidance to be able to make the best out of this experience. You will definitely need to pack a Paris tourist map. The laminated version of the Streetwise Paris Map, will most definitely be of great help to guide you along every street you might think to take, but it will also help you to always find the train station you search for, never get in the wrong train. You can also use it as a protection from rain or protect your cloths when sitting on a dirty bench. And one last tip that would make your day: while in the airplane, try to get in the Parisian mood and mode by reading a book written by a journalist with a very inquisitive mind, who lived 20 years in Paris and by its brave tenacity discovered even the most hidden and wonderful corners or Paris, sometimes hidden to the common Parisian guy itself. Great article! I'm going to Paris again this summer and I'll have to check some of these out! Thank you! I love Paris. I've seen it during all seasons and it was always enchanting! What a lovely reminder of our fabulous visit to Paris. You give me reason to plan another trip. I just love Paris and don't know why. I have visited just about every other major city and they don't feel the same.